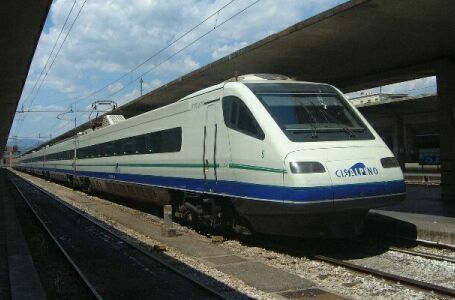 From Rome we took a high speed train to Florence. 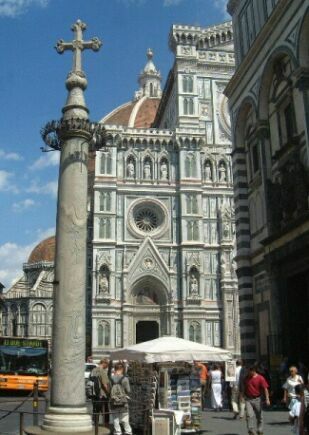 If I remembered it correctly it took us about an hour and the half to get to Florence vs. four hours via regular train. 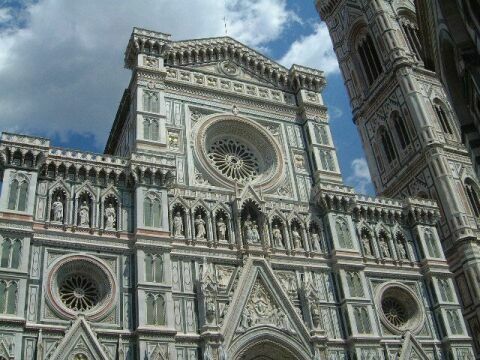 The construction of the cathedral of Santa Maria del Fiore began during the Middle Ages, but its was halted before completion of the dome due to its size. An eight-sided drum surrounded its large central crossing which is 136 feet in diameter. Normally to build a dome, architects would use a hemispherical wooden framework to support the construction, but there were no trees long enough to span the large space. Even if a dome could be constructed with the traditional method, the weight of it would be impossible to support. 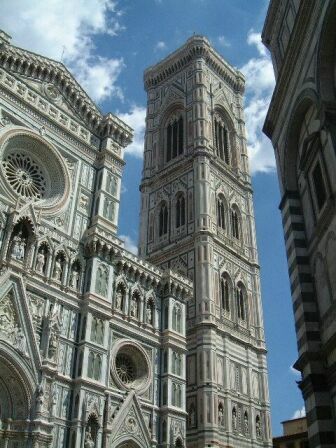 To solve these problems, the Guild of Wool Merchants in Florence decided to hold a competition in 1418 to design a new dome (cupola) for the cathedral. 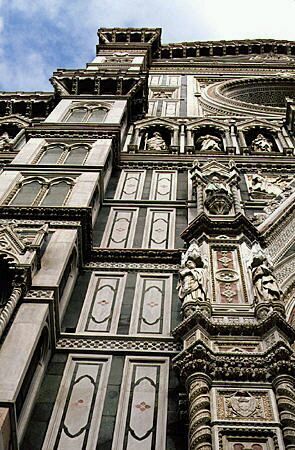 There were only two architects who dared step forward, Lorenzo Ghiberti and Filippo Brunelleschi (1377-1446). They were both assigned the task. 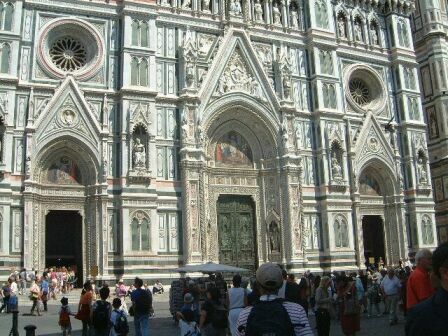 However, the committee wanted Brunelleschi to explain to them how he was going to accomplish the task. Brunelleschi asked the members of the committee to demonstrate to him how they would stand an egg on the table. No one could. With that, Brunelleschi banged an egg on the table breaking its shell at the end and proceeded to stand this egg on the table. When the members of the committee protested that any one of them could have done that, Brunelleschi explained that this was exactly his point. If he told the committee how he planned to complete the task of the dome, all would claim that they could have done it. 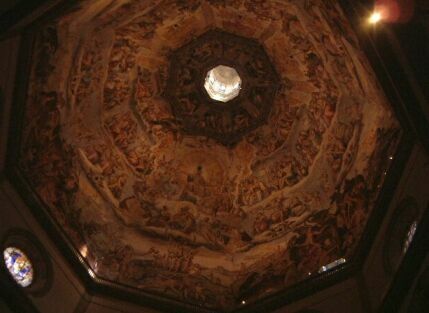 After several month of arguing, the committee allowed him to proceed and work began on the dome in the summer of 1420. 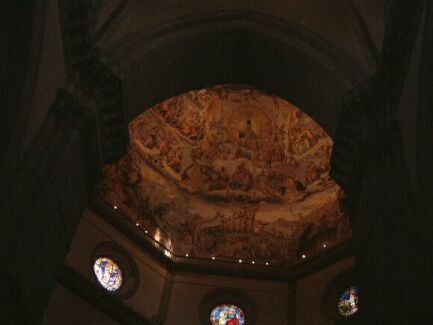 Brunelleschi had studied Roman architecture, specifically the great dome of the Pantheon. Combining the techniques of the Roman arch and vault with the Gothic method of stone ribbing, he concealed structural ribs both inside and outside the dome for added strength. His secret for accomplishing the building of the dome without any framework or scaffolding inside the dome, was to build the dome by layer of bricks, one at a time This way, the weight of the current layer being laid would be supported by the previous layer. Each layer was stepped slightly inward so that as the dome rose and is tapered toward the center. 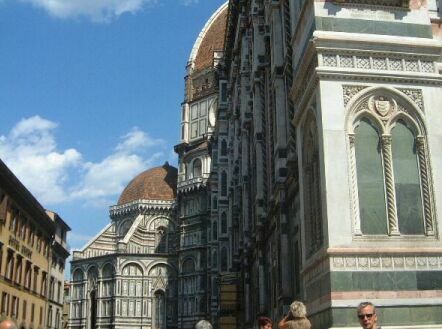 As to the weight problem, Brunelleschi build the dome with a double shell of stone and brick. Inside the double shell, were the structural ribs as well as narrow stairs to allow workers to perform safety checks and repairs. The cathedral's façade of pink, white, and green marble is relatively new: It was added over a 12-year period from 1875 to 1887. 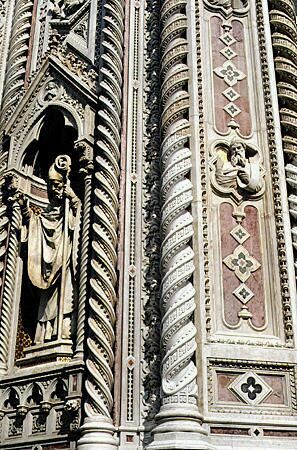 Intricate details and a very good view of the pink, white and green marble. 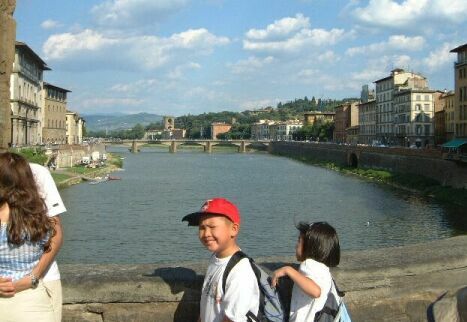 Timothy and Nicole walking on Ponte Vecchio the famous bridge and the river Arno.